Kugler takes charge of Renault's second-biggest production region. Renault veteran Jean-Christophe Kugler will take charge of the automaker's key Euromed region on Nov. 1, succeeding Jacques Chauvet. Euromed, which includes Romania, Turkey, Morocco, Algeria and Tunisia, is Renault's second-biggest production region after Europe. In 2010, the region accounted for nearly 687,500 units of the automaker's 2.7 million global production, including Dacia-brand cars. Renault and Dacia sold 272,748 new cars and light commercial vehicles in the region last year. Kugler, an engineer, has been with Renault for 27 years. 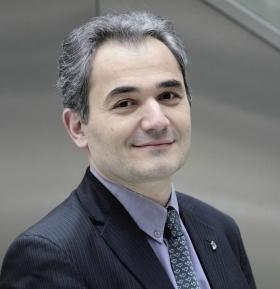 He joined the process engineering r&d center at Renault in 1984. He held various quality and production roles in Europe and South America before being promoted to head of Renault's light commercial vehicles division in 2008. Kugler will report directly to new Renault COO Carlos Tavares. Hauvet, who had led the Euromed region since 2009, will leave Renault by the end of the year, a company statement said.